Omar Pasha is part of the show “Salut – Wintergarten” in theaters of Cologne and Düsseldorf : a couple of “small persons”, husband and wife, former variety artists, present the show. 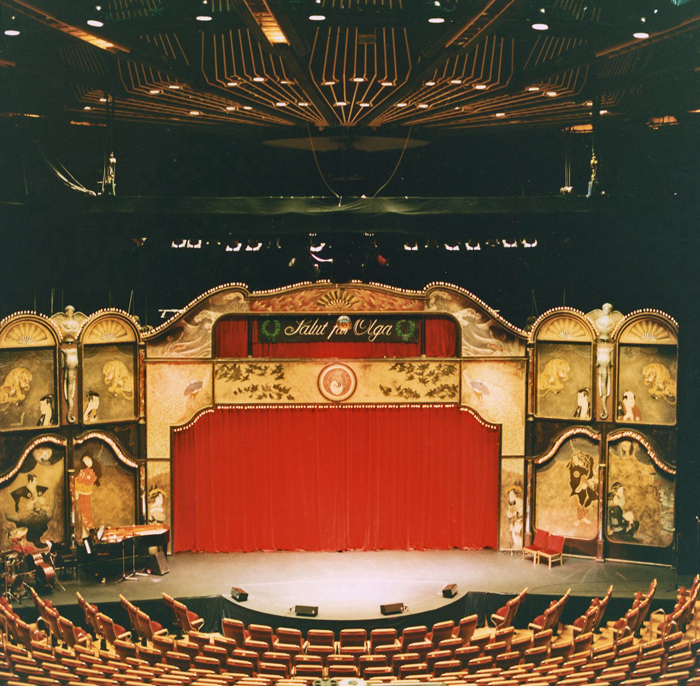 In the show story line, the husband has organized a surprise for the 70th birthday of his wife, gathering former variety and circus colleagues.They include a “paper cutter” – Macao ; a lady whistler – Baroness Jeanette Lips Von Lipstrill; a clown playing music with small bells – Carlo Olds, and more. The show refers to variety performances from the early years of the XXth century. Produced by Peter Schwenkow and Thomas Schütte, this show is directed by the famous Austrian director André Heller.